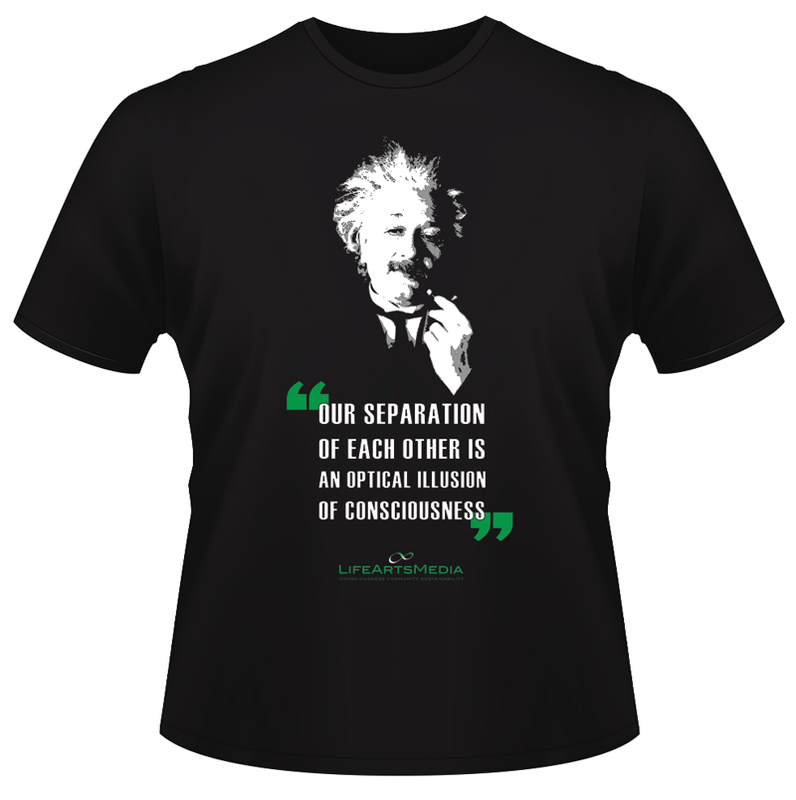 The Einstein T-Shirt is the first of the series. We aim to inspire with graphics and quotes, from scientists, mystics, philosophers and activists, portraying the principle of interconnectedness, spirituality, social justice and sustainable living. Buying this t-shirt is also a way to support and show your appreciation for our work. All the content on Life Arts Media is freely accessible. You can buy the t-shirt quickly and securely via PayPal and get it shipped worldwide. Thank you! Life Arts Media – Store © 2019. All Rights Reserved.